Most of us know that keeping up with the latest laws regarding healthcare coverage for employees is a nightmare for small to medium, growing businesses. New York business owners have even said that their second-highest barrier to doing business in New York is the inability to provide affordable healthcare options for their employees. Now, there is another option for dental coverage in the New York metro area. Dental365 is a growing network of dental offices that offers affordable dental coverage for individuals, and also works with employers to offer coverage for their employees based on the company’s individual needs. Each office provides a storefront walk-in experience with state-of-the-art equipment and the latest technology, with patient comfort at the center of office design. Each exam room is complete with a smart television, including Netflix and Pandora, along with many other patient amenities, including warm towels. Dental365 has locations throughout New York City and Long Island, and more offices are scheduled to open throughout the year. Dr. Scott Asnis, the founder and CEO of Dental365, started the practice as one of the country’s first high-quality, affordable dental offices offering dental care seven days a week. In addition to providing general and emergency dental services, Dental365 has specialists in-house that are available to provide excellent care for their patients’ unique dental needs. They also gladly work with most major insurance companies. 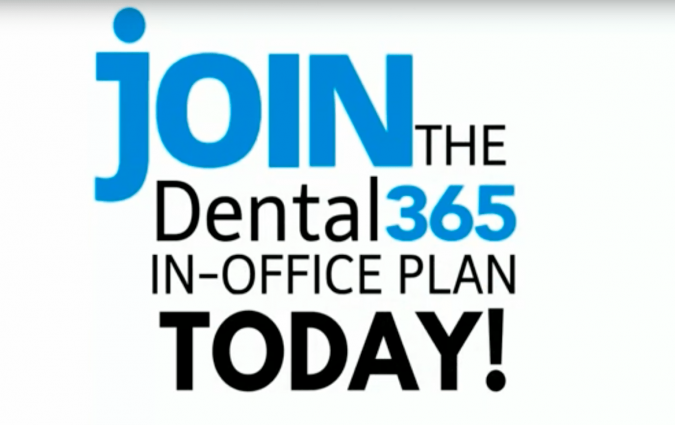 By joining the Dental365 in-office plan, members will also save 25 to 40 percent on most dental procedures. There are no limits, and members can get dental care when they need it without waiting. Dental365’s goal is to service communities with the latest technology in oral healthcare and wellness. As an added convenience, its brand new, inviting offices focus on all areas of dentistry, so patients never have to go elsewhere for dental treatment. Dental365 accepts walk-ins with little or no waiting time for adults and children, and offers everything from emergency extractions to routine exams, including cosmetic restorations and implants, periodontal procedures and Invisalign, all in a state-of-the-art, beautiful environment where your comfort is a top priority. For more information about Dental365, its in-office plan, or to schedule an appointment call 844.365.DENTAL or visit GoDental365.com.